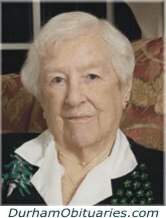 After a long life, Effie Amelia Kimmerly (née Brown) died peacefully after a short illness at Lakeridge Health Oshawa on Tuesday, November 28, 2017, surrounded by her children. Born in Toronto in 1921, Effie, daughter to Archibald Smellie and Minnie Estelle Brown, was the eldest of six children. As a child, she enjoyed the unique experience of travelling overseas during the Depression with her father to Scotland three times. Growing up in Montreal, she first developed her lifelong love of music first lby singing in church choirs, then as a member of Montreal’s Gilbert and Sullivan operatic society. WHITLEY, Brian - It is with great sadness and heavy hearts that we announce the passing of our beloved husband and father Brian, on November 28th, 2017 at Markham Stouffville Hospital, surrounded by his loving wife and family. He will be lovingly remembered by his wife of 51 years, Brigitte, and his children Deborah (Peter) de Ville, Catherine (Chris) Huyer, Paul (Julie), and Kristine (Rob) Carlson. Brian was the proud and cherished grandfather to Whitley, Kiri, Perry, James, Coby, Adele, Carter, Kate, Reid, Oliver and, soon to arrive, Grace. Sandy (Alexander) Oscar Delicate was 46 years young when he left us on November 28th, 2017, travelling to the mothership on the other side of the moon. Peacefully at Lakeview Manor, Beaverton in the wee hours of the morning, she breathed her last and was immediately with her Lord, and was reunite with her beloved husband Tom. 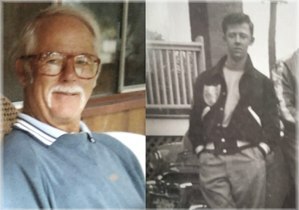 PUFFER, David Walter – Passed away suddenly at home on Tuesday, November 28, 2017 at the age of 60 years. David, loving partner of Linda Blight. 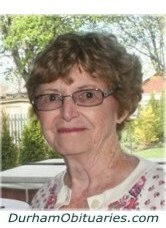 CALDWELL, Doris M. (WALLER) - It is with heavy hearts we announce the passing of Doris Caldwell of Orono, Ontario, daughter of the late Heber and Gertrude Waller of Relessey and beloved wife of John Caldwell (67 years) on November 28, 2017 (age 96) at Bowmanville Lakeridge Hospital, with her family at her side. 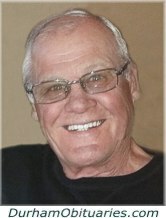 ROW, James Edgar - The world lost a guardian of greatness on November 15th, 2017, when James Edgar Row (Jim, Jimbo, Papas) passed away unexpectedly. James is survived by his adoring and accomplished children Brendan, Kimberly, and Meredith, his grandchildren, who were his inspiration and light of his life these past few years, Nathan, and Jade (with a third grandchild arriving imminently), and son-in-laws Ryan, and Steven who were as near and dear to him as his own children. CARDY, Brian Richard – Peacefully on Thursday November 16, 2017 at Lakeridge Health Oshawa in his 62nd year. Brian will be missed and remembered by his family and friends. MORETON, Herbert Clifford - At the Ajax Pickering Hospital on Monday November 27, 2017 in his 85th year. Herb Moreton loving Husband of Bernice. Dear Father of Bart and his wife Kathy, Robert (Lori) and Lance (Jill). Cherished Grandpa of Valerie, Crystal, Tammy, Matthew, and Callan. Great Grandpa of Alexis and Tina. Brother of Douglas and his wife Sally. Herb will be sadly missed by his many family and friends. One week shy of his 99th birthday, died peacefully yesterday at Woodhaven Long Term Care Facility. Roy is predeased by his first wife Doreen Elms, his second wife, Vera Walkenshaw and his son Mark. He will forever be remembered as a loving father by his sons Greg and Jim (Darlene). He also leaves behind five grandchildren; Julie, Ryan, Mark, Crystal and Doug and two great-grandchildren, Austin and Lincoln. 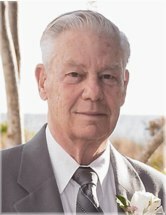 CONLEY, Raymond Loren - Passed away peacefully at Lakeview Manor on Monday, November 27, 2017. He is predeceased by his wife Nina, survived by his brother Murray, children Debra, Raymond, Ann and Bruce, grandchildren Jennifer, Daniel, Evan, James, Cameron, great-grandchildren Shane and Audrey. FORESTALL, Anna Mary - Entered into rest at home on Monday, November 27th in her 90th year. Mother of Pat, Mike, Danny, Rick, Mary Ann (Chris), and Jerry and her beloved grandsons Adam and Connor. Sister to Pat McCloskey and Sister-in-law to Edie McCloskey. Predeceased by husband Glen, parents Richard and Elizabeth, brother Joe and sister in law Beverly. HARVEY, Elaine - It is with great sadness that the family of Elaine Harvey (nee Swan) announce her peaceful passing at her home on Alma Street, Port Perry with her family by her side, on Monday, November 27, 2017 after an 8 year fight against breast cancer. 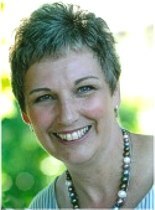 She will be lovingly remembered and sadly missed by her husband of 32 years, Walter; daughter, Keren and son Jordan as well as her parents Christine and Jim Swan. McALASTER, Douglas - John passed suddenly at Lakeridge Health Oshawa on November 27th 2017 at the age of 67 with his family by his side. Beloved husband and best friend to Maureen (nee Brake) for 31 years. WILSON, Kerry - Suddenly, on Monday, November 27, 2017, in Port Perry, at age 62. Kerry Wilson of Oshawa, loving father of Danielle Johnston and Amanda Green (Stephen) all of Oshawa. Loved grandpa of Liam, Clayton, Rylan, Isaiah, Reyus, Makiza, Avian, and Amias. Dear brother of Mike (Rene) and Patt. 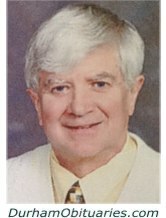 Kerry will be missed by his “sweetheart” Donna Henderson as well as his nieces and nephews. 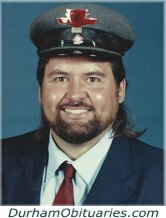 McGRATH, Robert Frank – Employee of the TTC for 19 years. Born on March 9th 1967, Robert passed suddenly and unexpectedly on Wednesday, November 22nd 2017 in his 50th year. Loving and caring husband to Kathy McGrath (née Jendrika) for 22 years. Predeceased by his parents Frank & Elizabeth McGrath (née Wallace) and his brother James McGrath. 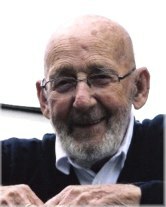 Survived by his sister Margaret (Peggy) McGrath (née Cotton) of Nova Scotia and his brother Michael McGrath of Alberta. Suddenly at Peterborough hospital on November 23, 2017, Dean Warner in his 78th year. Beloved husband of Dale Warner. Cherished father of Jeff Kloos and his wife Victoria and Janet McGill and her husband Dave. Step father to Matthew Staley and his wife Julie. Special uncle to Andy Kloos and his partner Maggie as well as many other nieces and nephews. Passed away peacefully at Lakeridge Health Oshawa on Sunday, November 26th, 2017. Beloved daughter of the late Norma and Alexander Robertson. Loving sister to Pat Shaughnessy, Ross Robertson and to the late Ronald. JOHNSON, Ronald Morley - Passed away peacefully at Scarborough Centenary Hospital on Sunday November, 26, 2017 at the age of 84. 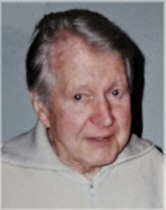 Beloved husband of Theresa (nee Cunningham) for 65 years. Loving father of Bob (Jennifer), Max (Kanita), Jason (Anne), and the late Bernie, Debbie, and John (survived by Shirley). Dear son of the late Charles and Estella Johnson. Fondly remembered by his many grandchildren, and great grandchildren.